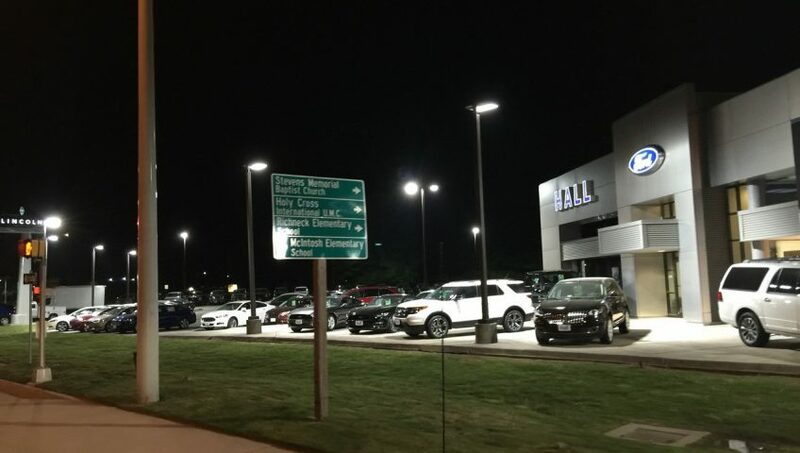 Automotive dealerships were some of the first to appreciate the visual appeal and cost savings of a LED retrofit. We were happy to help this dealership realize those benefits. They provided the pole lights and wall packs, and we installed them. Whether you have your fixtures already selected or you want to see what options are available, we’re ready to help. The Cities of Newport News, Hampton, Norfolk, Virginia Beach, Chesapeake, Suffolk, Portsmouth, Poquoson, Williamsburg, and many more. The Counties of York, James City, Gloucester, Isle of Wight, and many more.